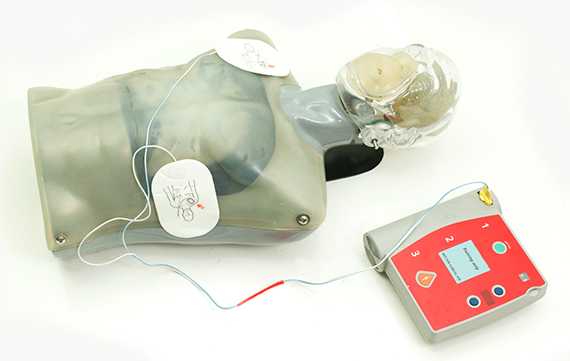 The principle purpose of creating the patented TransMax CPR patient simulator is to provide a tool that will teach students how to correctly deliver cardiopulmonary resuscitation, or CPR. TransMax’s purpose is to accurately measure the force, depth, and speed/rhythm of chest compressions delivered by the student, and to provide immediate visual feedback from the brain, heart and lungs. Providing immediate feedback allows the student and instructor to see at which point oxygen is reaching the vital organs of the body. The distinguishing feature of TransMax lies in how it responds to the students actions while providing immediate feedback when CPR is performed correctly. Due to the visual aspects of TransMax it has become a vital tool for the hearing impaired community when learning CPR.